Alice, or ‘Gyp’ to her friends, got up in the middle of the night and made her way to the bathroom. She was a little unsteady on her feet and, perhaps unsurprisingly, took a tumble. When her family heard the cry for help, they discovered her in considerable pain, having collapsed on the bathroom floor. Gyp had broken the neck of her femur and when the doctors studied X-ray images of her hip joint at the hospital, they confirmed that her bones were osteoporotic. Osteoporosis, characterised by bones that are less dense than normal healthy bone, is a condition that affects over 200 million people worldwide, most of them women. It increases the risk of bone fracture, such as a fall in Gyp’s case, or can even result from a cough or sneeze. What causes osteoporosis, how is it diagnosed and can it be treated? Our bones are in a constant state of remodelling, the osteoclast cells being responsible for resorbing “old bone” while the osteoblast cells lay down “new bone”. Osteoporosis results when there is a mismatch between osteoclast and osteoblast activity. This mismatch can result from hormonal changes – such as the onset of menopause – or with diets low in calcium and vitamin D. Diagnosis is based on the measurement of bone mineral density (BMD), where BMD serves as a proxy for bone strength, the resistance to fracture. 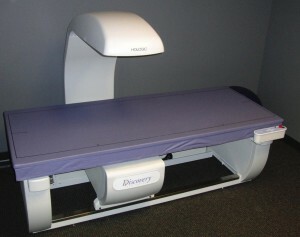 Dual-energy X-ray absorptiometry, or DEXA, is the most widely used method to measure bone density, although there are other non-invasive techniques based on quantitative computed tomography, ultrasound and photon absorptiometry. Since osteoporosis will typically manifest itself in the bones of the wrist, spine and hip, diagnosis focuses on these three anatomical sites. In mid-2011 the Karolinska Institute in Sweden, together with Sectra, initiated a joint project that combined mammographic screening with osteoporosis screening. 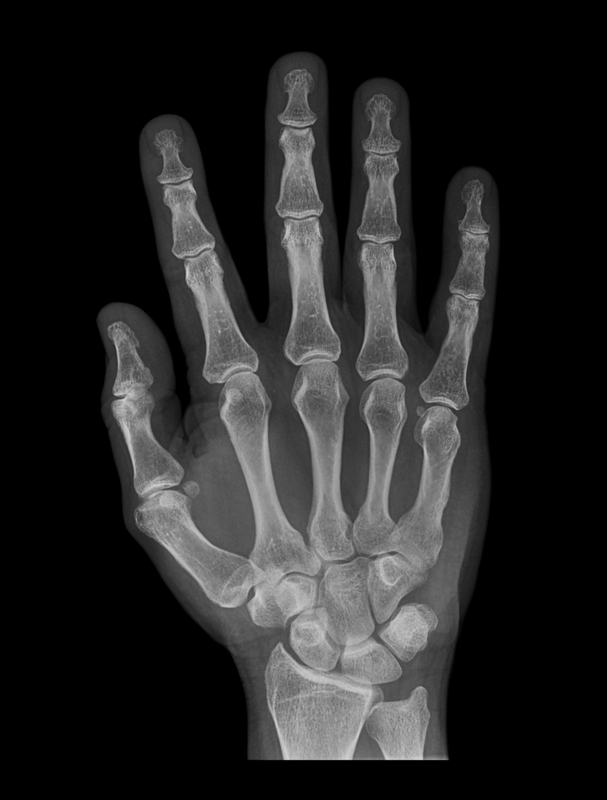 In addition to the four digital images of a patient’s breasts, an X-ray image of the hand is recorded with the same equipment, adding less than a minute to the examination. The researchers are optimistic that early diagnosis and inexpensive intervention will lead to significant savings in treatment costs, while improving the quality of women’s lives. While the benefits of screening and early diagnosis of osteoporosis came too late for Gyp, who died in hospital of pneumonia following her hip fracture, there is now hope for many millions of women who may be at risk of bone fracture.